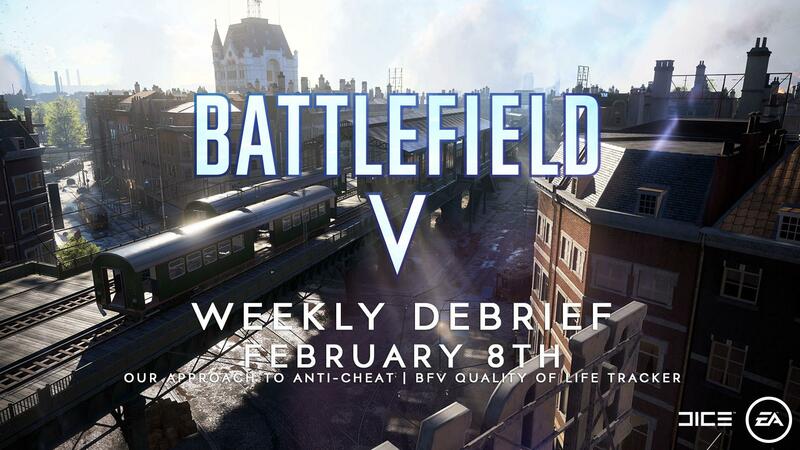 Welcome to the February 8th edition of the Battlefield V Weekly Debrief! Our Anti-Cheat Approach for Battlefield V - An overview of what we're doing to combat cheating in Battlefield V and next steps to improve detection and removal. Battlefield V Quality of Life Tracker - Part of on ongoing drive to identify issues and improve the quality of life in Battlefield V, we've created a new tracker that focuses on top impacting issues and status updates from our Development team. Article - This Week in Battlefield V - The details of news coming this week in a concise roadmap. Weekly Community Highlight – Best Only in Battlefield Moment of the Week – Hot new OIB moment coming in with a new weekly winner! Think you’ve got a winner? Send it our way on any of the Battlefield channels. Each weekly featured clip will be awarded a Best Community in the World emblem! -- Congrats Noobalishus on that sick inverted bridge run! Our teaser for Battlefield V Combined Arms drops. Get a glimpse of how we bring co-op to Battlefield V.
BLOG - Our Anti-Cheat Approach for Battlefield V - We've got an anti-cheat blog detailing what we've done, where we are, and next steps. DISCUSSION: Our Anti-Cheat Approach for Battlefield V - Share your constructive feedback/suggestions after checking out the blog. Launch – Chapter 2: Lightning Strikes Weekly Event #2 Week 2 Begins – We kick off the second week of in-game weekly missions and rewards. Discussions -[/b] We'll be hosting discussions on Reddit & the Forums to get your feedback. We'll sit down with some DICE Devs and talk co-op, tweaks and fixes that came through with the update, and more. We'll be hosting a livestream from DICE LA give us an insight into what it's like to work on Battlefield and what their particular role does in the world of gaming, as well as debut Combined Arms and talk about some highlights from the Update. Please note: This is an early schedule and items could shift or be moved out. We'll have more details in our weekly This Week in Battlefield on Monday. 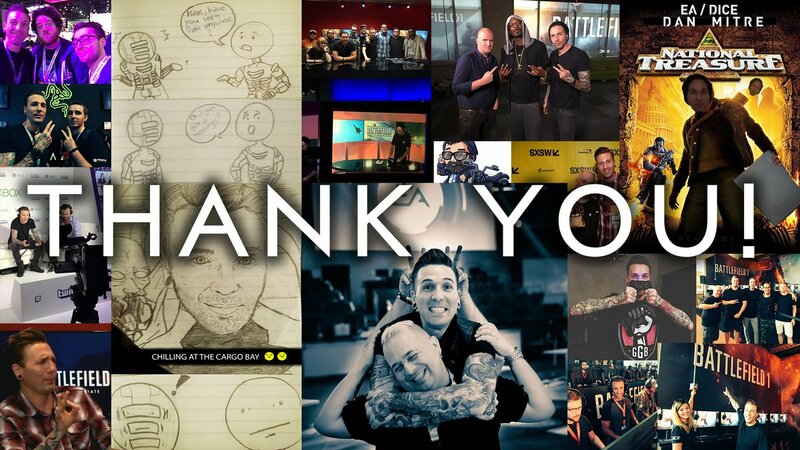 February 8th, 2019 was Dan Mitre's last day as Global Community Manager for the Battlefield Franchise and at EA. After 5 years, Dan is forging ahead in a new endeavor and all of us at EA & DICE wish him the best of luck. His passion, dedication, and drive helped create a more engaged, more informed, and better global Battlefield community, and he will be sorely missed. With every ending, there is a new beginning. We're excited to welcome Ben Walke as the new Global Engagement Manager for the Battlefield franchise, and he's based out of DICE Stockholm. Together, we're going to build on the foundation Dan and I started and will increase communication, transparency, community engagement, and more. Stay tuned! and now whats your approach against cheating? I cant see anything your doing. Its getting every day more worse. Soon or later its not playable any more for a fair player! Then nothing about whats being done? Is anyone else confused as to why this thread was created? Make sure to review the blog in the link first.